NOTICE: Activation key must be used on a valid Steam account, requires internet connection. ABOUT THE GAME	When solitary Darren Michaels befriends the beautiful Angelina, he has no idea what the fates hold in store for him. The alluring Angelina has also attracted the eye of several others; and when she suddenly disappears, Darren finds himself questioning what has happened to her while he is h… aunted by a series of torturous and ever-intensifying nightmares. Darren's search for his missing friend and his own sanity take him on a chilling expedition from his small New England town to Willow Creek, England - and the reigning evil of Black Mirror Castle. 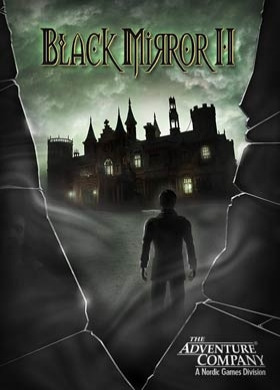 Enter a dark, captivating world as the massive evil of Black Mirror Castle is reincarnated with over 100 atmospheric locations to explore and 40 different characters to interact with. Will Darren's search lead him to redemption or the hell of insanity? The answers can only be found in the Black Mirror - for once you gaze into it, you won't be able to look away. KEY FEATURES An epic story of evil told in six chapters Atmospheric effects such as rain, fog, and storms More than 40 characters and hundreds of realistic animations Challenging puzzles and mini-games Over 100 different locations, including a medieval underground temple, a mental hospital, and a cemeterySYSTEM REQUIREMENTS Minimum: OS: Windows XP SP3 Processor: 1.4 GHz Pentium IV or faster Memory: 512 MB RAM Graphics: 128 MB VRAM DirectX: Version 9.0 Hard Drive: 2 GB available space Sound Card: DX9	© 2014 Nordic Games Licensing AB, Sweden. Published by Nordic Games GmbH, Austria. Developed by Cranberry Production. All other brands, product names and logos are trademarks or registered trademarks of their respective owners. All rights reserved.